Consumer confidence is at an all time low. Few disagree, that the way we do money separates community and caring from real riches of mindfulness together. It doesn’t have to be that way. Do you agree? The globe cries out for financial opportunities from people who engage multiple intelligences and value creative passion across differences. It makes sense that money systems created by a few can only fit that few. Check out this Wall Street revelation of banks that made systems too complex for us to hold them accountable. Similarly structures that welcome multiple approaches arise from many minds, with a shared vision to increase wealth. Can you see an end to dissatisfaction that comes from finances designed to toss greedy bonuses for few and withhold basic from most? 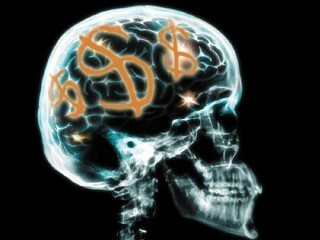 Rethink money matters with brain in mind, and top benefits will follow more people into gold. How so? Business plans would change radically if intelligent financial approaches linked winning ideas to innovative support systems that promote inventions. Ethical accountability would rise through intelligent communication without jargon – to inspire creative ventures from diverse backgrounds. Experts would unleash rather than block brainpower, if we relied on more intelligent financial leaders to guide global financial decisions. Confidence would fuel mind-bending strategies for change if fear from cynics no longer stunts financial renewal or bars wealth from many. People across many culture would enjoy calm, even under pressures, because fewer would be trapped in credit card dept to survive the imbalances swept in by greed from leaders at the top. Media would renew financial trust, by reporting serotonin practices for financial well-being, and by highlighting daily wins that comes with fair access to wealth. People would choose growth over stagnation, when wealth no longer channels to few aggressive takers, but instead opens opportunities to creative inventions. Brainpower and financial growth would combine to offer novel solutions in symbiotic exchanges to open wider spigots for more global prosperity. Socialism – that stops success from rewarding smarter financial adventures? Never! It’s more about supporting ordinary people to get ahead in spite of unfair places we’ve created. Opportunities – for all in ways that stop greed and trump generosity that builds caring communities where no brain is left behind? Always! Most would agree that renewal runs deeper than dollars – even financial renewal that increases wealth across differences! Few would disagree that certain common practices cause sluggish progress. How then, can we toss more brainpower into money makeovers for a new runway of wealth and mental acumen in your circles? This is exactly what I was searching for. Thank you and keep up the great work! Wow Stu – what a wonderful edition to my own two-bits. Since my own work took me to long stays in China, I will agree that what you say is there also! In addition I worked with Inuit for two years and they had yet to move into a strong economic culture — so I found many of the gems you speak of in the high arctic. Even where money exists we can find these riches – yet I am often concerned about the way money controls us from the center in our culture and we have made most else dependent on it. Love your idea for change Stu and look forward to meeting you in NYC soon. Great food for thought! Ellen, very interesting and important article, I agree with the point made by Robyn some of the poorest people are the greatest givers. I have had the opportunity to travel inside Indonesia and meet people in very rural areas, where they would have little to call of in terms of possessions, and yet they will insist on sharing all they have with visitors who are strangers to them. How can we compare the values of such people against some of the massive self-greed we have seen over the last few years. Making a small but meaningful difference to someone else’s life, is in my view much more fulfilling than getting the next “thing” you don’t really need. It we had a situation where all companies had positive social element to their business plan, that was truly acted on, then we could see a small but growing change. Thanks for your insights here Robyn, it’s true that one’s attitude to money, and especially a person’s generosity will be the winning features in the end. Maybe that’s why it’s so sad to be living in a day where greed appears to won at times, and folks let go of ethics for self-satisfaction. Hopefully we will turn a corner and come into the new era with a new vision for caring communities at the center of financial systems! Ellen, I have seen people without very much give their “last mite” to help others. It’s amazing to me that some of the very poor are very rich givers. Many gave to others and showed compassion during the last depression. We can learn so much from that in addition to your brilliant insights here on finances and community. Yes, I so agree with you, and it takes ethics at the center to reconfigure the mess we have now into the creative fusion we could have with renewal! I see you folks in the lead! Sounds exciting. There’s a lot of potential for good work here if it’s done carefully. We can all imagine the ethical dangers of neurochemistry mixed with marketing and capital markets.